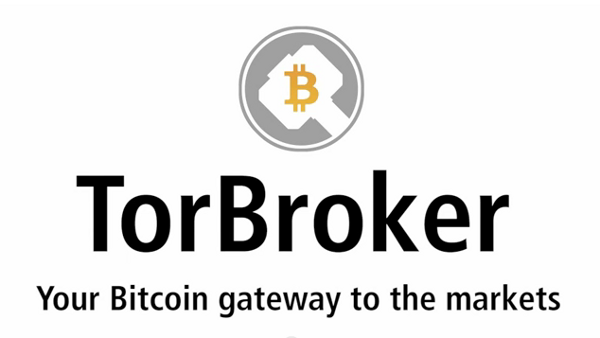 In late March, the cryptic underworld of the Tor hidden service ecosystem added a new service to its midst: TorBroker, a gateway for Bitcoin users to the stock markets of the mainstream world. This is not the first service to do such a thing; ICBit has been doing the same, albeit in a very limited fashion, for over a year by offering futures on oil, gold and the S&P 500. TorBroker on the other hand is, as its name suggests, a fully-fledged broker, allowing users to buy and sell any of nearly a thousand different stocks and exchange traded funds at any time. It is also the first such service to accept customers anonymously, using Tor to protect their anonymity and not asking for any identifying information beyond a username and password. This is where the issues of legality and trust become intertwined. As a further legal safeguard for their service, TorBroker\xe2\x80\x99s representatives have chosen to remain anonymous. Explaining their decision, TorBroker wrote to Bitcoin Magazine: \xe2\x80\x9cBy going public we would attract the attention of local authorities who would be inclined to work on new regulation \xe2\x80\x93 or even just try to find some non-essential technicality that we\xe2\x80\x99re unwittingly violating \xe2\x80\x93 to stop our service. By keeping our jurisdiction secret, we avoid attracting such attention.\xe2\x80\x9d Howevver, this strategy has its costs. Out of all the major anonymously operated services in the Bitcoin economy, many, including Bitscalper, TorWallet and Bitcoin Savings and Trust, have turned out to be scams, eventually suddenly disappearing with thousands (and in the latter case, over 1 million) of dollars of deposited customer funds. Other anonymous sites, on the other hand, have survived, and Silk Road in particular may well now be the single most trusted cryptographically anonymous entity in the world, so on the balance the question of whether or not one can ever trust an anonymous service remains hotly debated. The general consensus view is that it depends on the precise nature of the service in question \xe2\x80\x93 specifically, the trust to profit ratio. On the Silk Road, an eBay-style marketplace for illegal drugs that, like TorBroker, uses Tor to help ensure both itself and its users anonymity, this ratio is fairly low, both with regard to Silk Road itself and even between buyer and seller. 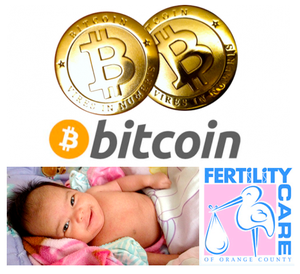 Each individual transaction brings a significant benefit to both the buyer and the seller (laying aside the argument that some users may be addicted and would benefit more from being forced to go cold-turkey; this is a purely conventional economic analysis), especially so because black markets tend to be very inefficient and so have high producer and consumer surplus per transaction, and Silk Road itself earns an average commisssion of about 6.3%. Thus, for both Silk Road and the anonymous merchant, profit is high. As for trust, the buyer only needs to trust the merchant to ship the goods each transaction, and needs to trust Silk Road to the same extent when depositing into their Silk Road account (or perhaps to a slightly greater extent, if the buyer also wants to have cash on hand in their Silk Road account to be able to buy a certain quantity of goods at will). Since profit is high and trust is low, the trust to profit ratio is very low, and so both Silk Road and the merchant have strong incentives to continue acting honestly \xe2\x80\x93 the value of the relationships is too high to justify running away at any particular point. Now, consider Torwallet. Torwallet was essentially an anonymizing mixing service and a Bitcoin wallet all in one. Here, the wallet is usually free, although users can opt to have their coins mixed again at any time for a fee of 3%. Thus, profit is considerably lower than on Silk Road. As for trust, Torwallet is intended to be used as a wallet, encouraging users to deposit significant quantities of money into the wallet and, importantly, store them there for a long time. Thus, compared to Silk Road trust is very high. Thus, predictably, TorWallet eventually ran away. Bitscalper and Bitcoin Savings and Trust have even higher trust to profit ratios, as the service (in both cases, investment returns) requires the user to keep their money deposited for an extended period of time. I don\xe2\x80\x99t know TorBroker or any of the people behind it, but about a month and a half ago they contacted me, and at least one other well known member of the Bitcoin community and asked us to publicly hold 1,000 BTC as a security bond that would be used to refund customers if TorBroker ever disappeared with their customers money. While I fully support TorBroker\xe2\x80\x99s efforts to bring additional economic freedom to traditional financial markets, legally it didn\xe2\x80\x99t seem safe for me to be the front man for this. TorBroker has also tried to place this bond with many other prominent Bitcoin community members (who won\xe2\x80\x99t be named to protect privacy), and, if trust proves to be too insurmountable an obstacle, is even willing to consider placing the bond with Silk Road\xe2\x80\x99s own Dread Pirate Roberts. This would change the trust to profit calculus considerably; the extent to which TorBroker would benefit from running away would then be reduced by 1000 BTC, and, presumably, if TorBroker does run away the funds would then be proportionately distributed to depositors. For now, no security bond has been placed, but the fact that they are willing to voluntarily do so does suggest that they are attempting to build a viable and lasting business. However, there are steps that TorBroker could take to reduce the trust to profit ratio even further. TorBroker charges a commission of 1% per trade (minimum fee $10), specifically encouraging investment strategies that keep money in the service for a long time. The minimum fee also discourages users from trying out small amounts they can afford to lose first before investing more heavily. If the commission was replaced with, for example, a 10% fee on user profits, it would become much more viable to invest for only a few weeks or even day trade, benefitting from the service without trusting TorBroker nearly as much. They could also, instead of having a fixed-size security bond, constantly keep the majority of users\xe2\x80\x99 funds escrowed with a trusted third party. Such a strategy was in fact suggested for Bitscalper, although Bitscalper obviously rejected it because they intended to run away with the money. The video begins by highlighting the three main disadvantages of traditional stock brokers: that they are \xe2\x80\x9coverregulated and complicated\xe2\x80\x9d, leading to bureaucratic inconvenience and a prolonged process in order to set up an account, they require minimum deposits that can be as high as $10,000, and \xe2\x80\x9cBig Brother is watching all your transfers.\xe2\x80\x9d TorBroker, of course, has none of these flaws. However, it does have weaknesses. Although it bypasses the inefficiencies of government regulation, its anonymous nature also sacrifices the main benefit that government can provide: trust. As discussed above, this is not an easily solvable issue, although there are many ways that TorBroker can mitigate it. Also, its $10 minimum fee itself functions as a de-facto minimum deposit; if one wants to trade only $100, a $10 fee is a whopping 10% off of every transaction. TorBroker would do well to go even further than their promotion and remove the fee outright, replacing it with a more even fee structure. As for privacy, here TorBroker indeed wins by a wide margin. Although the service sees all of your trades, it has no idea who you are, and everyone else knows nothing at all (although perhaps with blockchain analysis it may be possible in certain cases to detect that a given individual is using TorBroker; the Blockchain.info mixer can plug this small potential leak for an additional 0.5% fee. Should you invest using TorBroker? Well, if you need anonymity, you might. Safety is not guaranteed; TorBroker may still run away with all of their customers\xe2\x80\x99 funds tomorrow, and there would be no way to even start trying to get the money back. If you are already investing in a very high risk portfolio, this additional risk may be manageable; if you are trying to secure 2% returns for grandma\xe2\x80\x99s pension fund, forget it. If it does disappear, it will be added to the list of scams and thefts and soon forgotten. If it survives and continues to grow, it may well be an interesting experiment in the growing field of \xe2\x80\x9ccrypto-economics\xe2\x80\x9d, and an example for more commercial hidden services to come.